I'd like to discuss cases when accuracy is not as important at results. In this case there's a problem of abundance of choice. You don't have time to quickly and correctly pick one from the 16777216 colors. Plus alpha value? Come on! Whenever you're confronted with a photoshop/gimp-like color picker you either choose random color, or single color that's globally predefined in a palette. I also understand that very few 'casual' users maintain own palettes for consistency. There were quite a few Kexi releases since my last blog entry. I tell you, the focus in this work was on improving stability. As an effect, reportedly, there can be a whole day of work without stability issues. Not bad. I'm going to Bilbao... well not quite to the whole Akademy but mainly to the QtCS. Looking at my calendar I conclude even getting these two days is a success. I'll try to show up @ Akademy too and say hello to you friends and chat a bit. 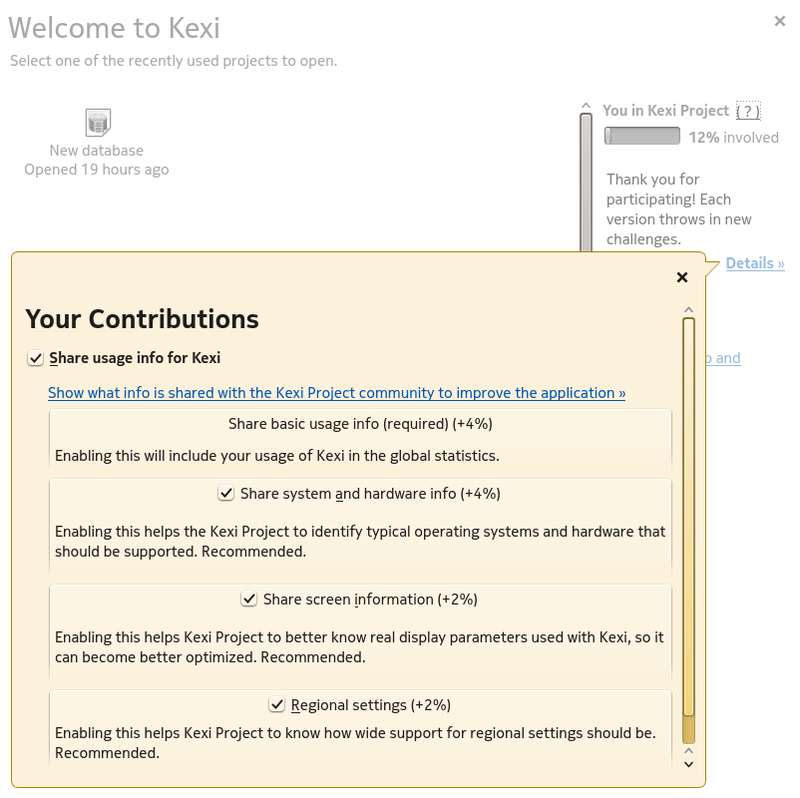 It's been 10 years since I joined Kexi and thus the KDE community. I think writing down some history and summary makes sense. 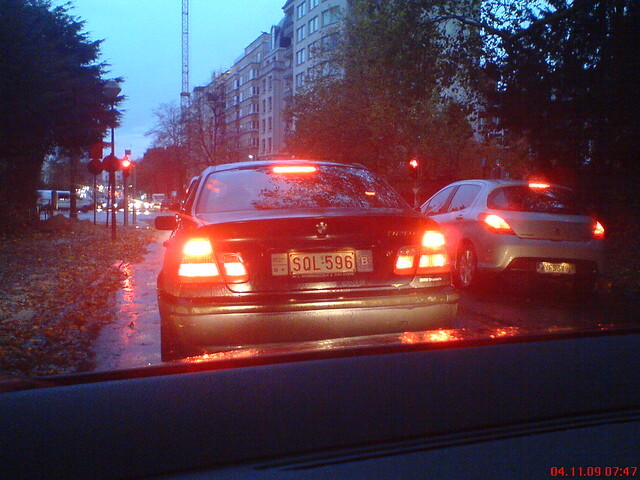 It all started at a technology fair in Warsaw, 2003. I wasn't too keen to go but got free tickets and free time. I met a founder of OpenOffice Polska LLC (later renamed to OpenOffice Software) from Warsaw presenting its adaptation of deeply localized, nicely prebuilt office suite based on OpenOffice.org. The office suite has been open sourced StartOffice over two years before by SUN and then localizations or user handbooks basically did not exist. During the meeting among other topics we also discussed apparent missing bit in the OpenOffice.org suite: a rival of MS Access. I proposed to perform some research on how the app can be added. I got hired and engaged full-time from March 2003. Read more about Ten years! Putting unexpected visions of space tourists aside, now for something completely different. This was a busy weekend with Calligra Suite Sprint 2013 which despite of different timezone fully dominated Essen and Bangalore.